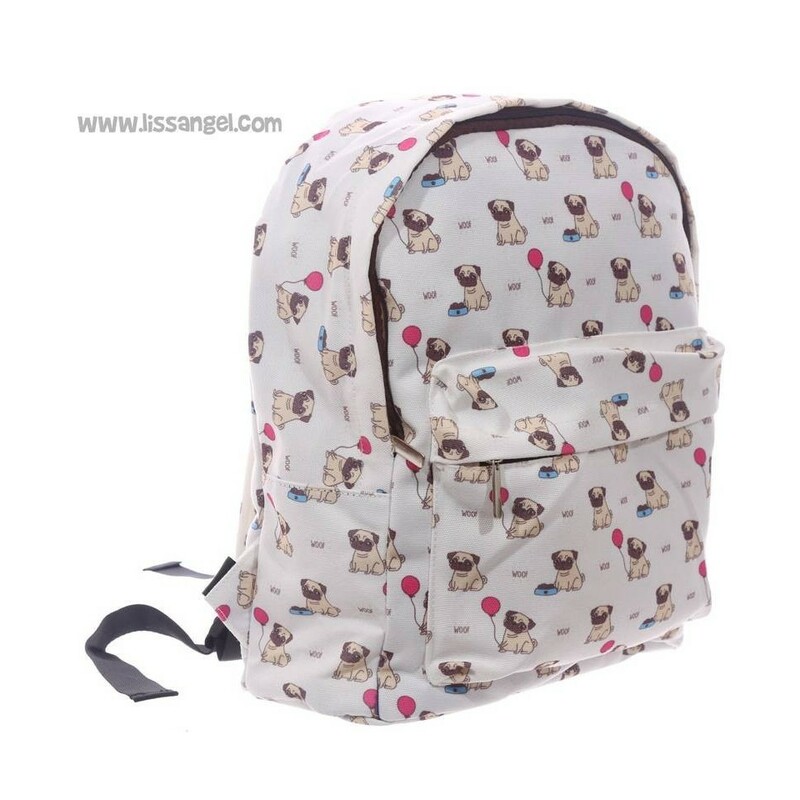 Backpack of animal inspiration, inspired by pug dogs. 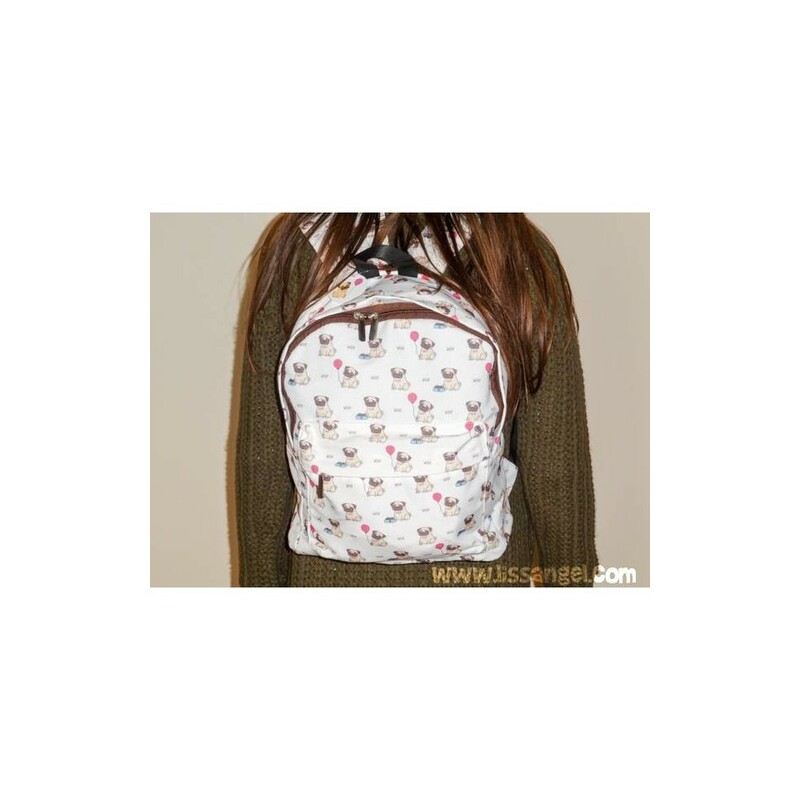 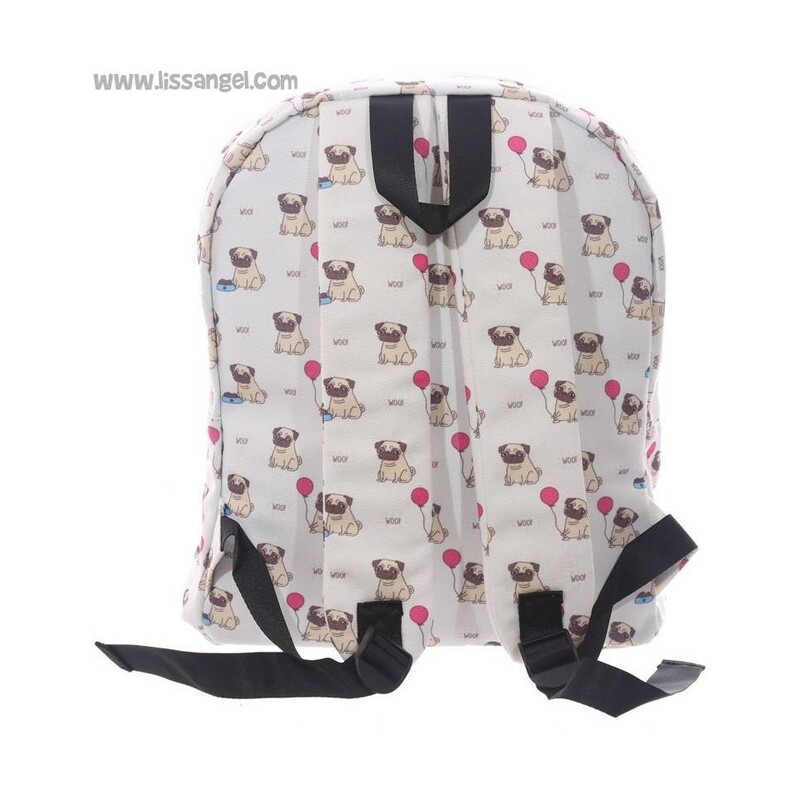 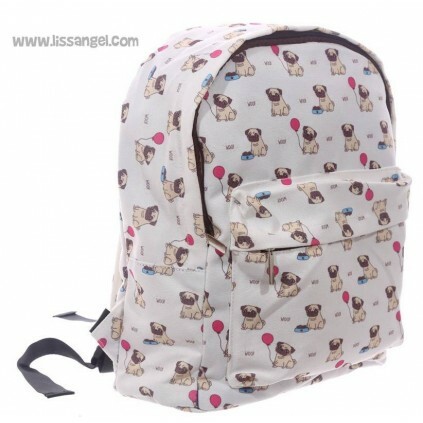 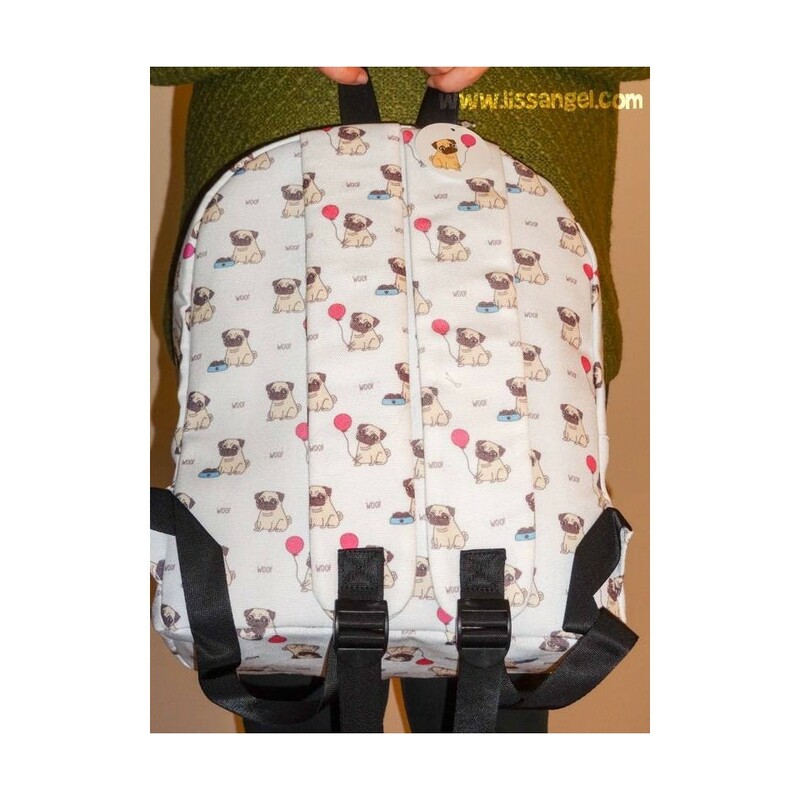 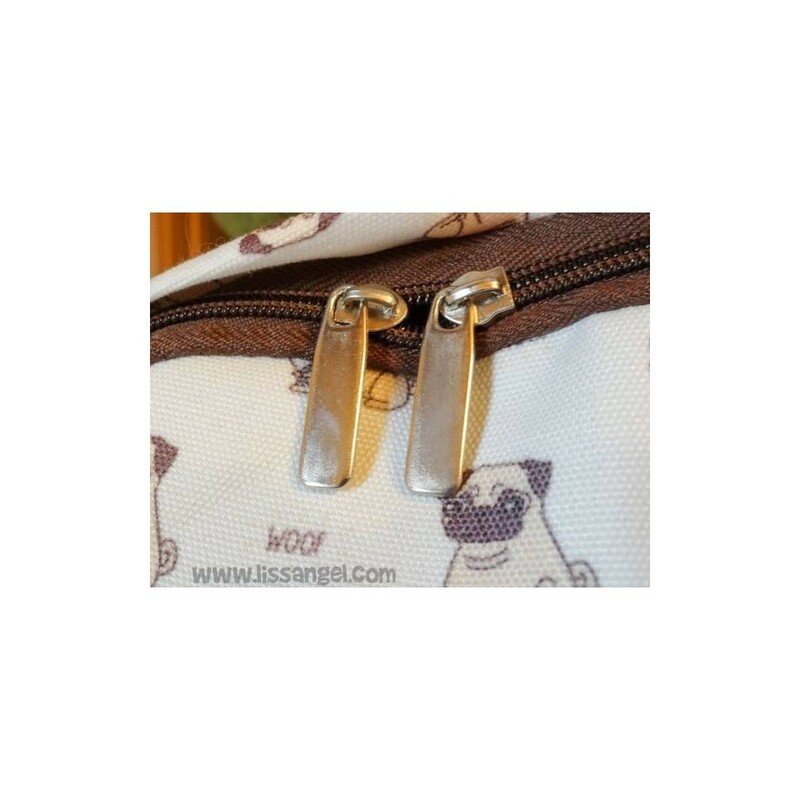 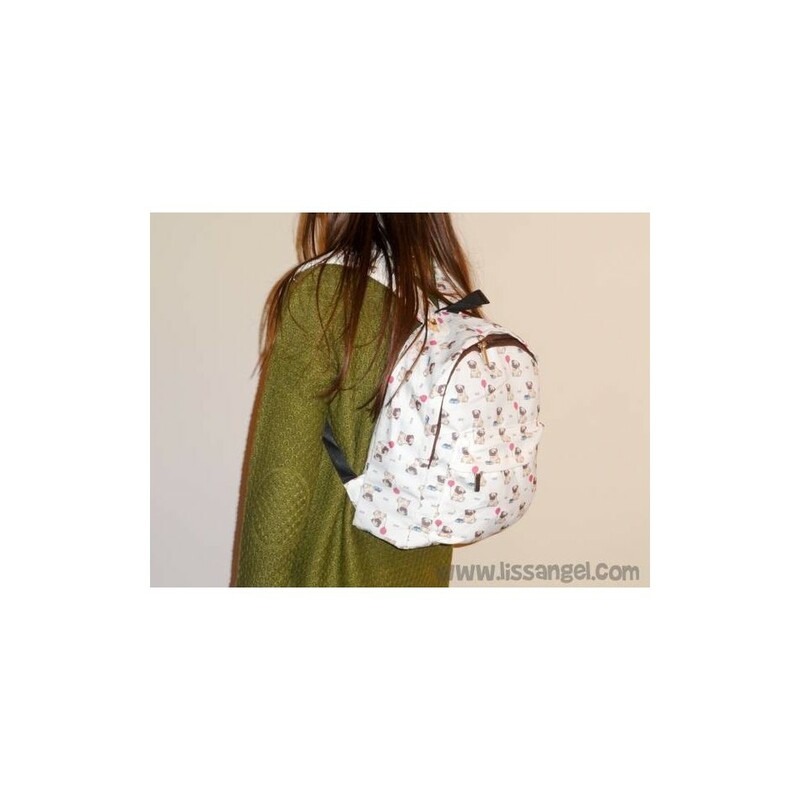 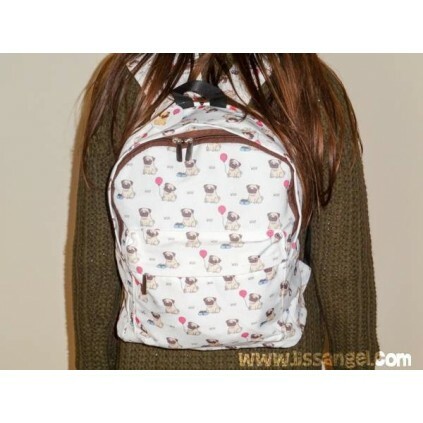 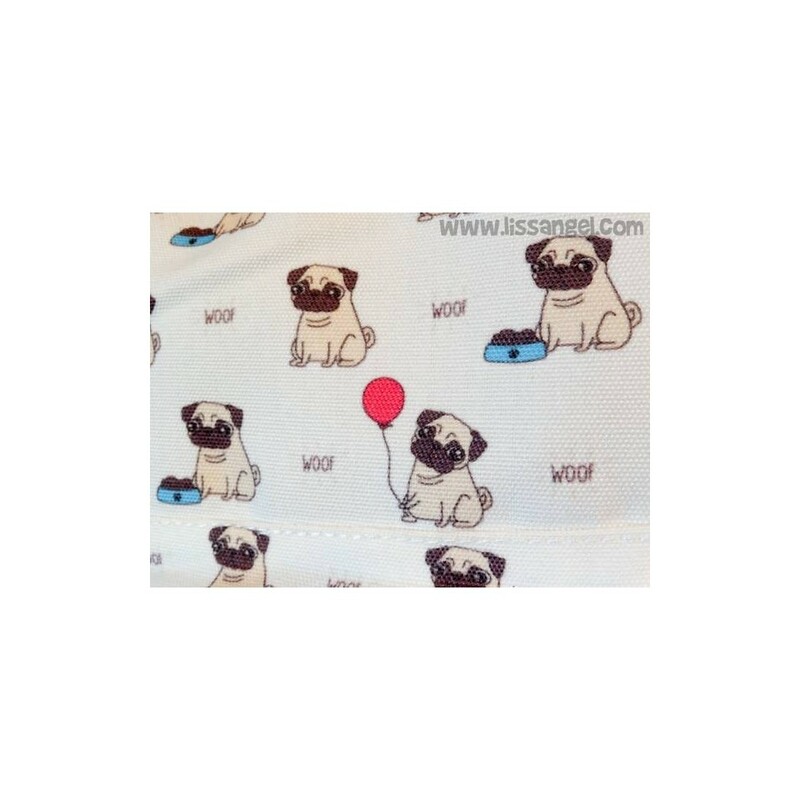 Made of white cloth, a nice drawings of pug dogs adorn the whole backpack. 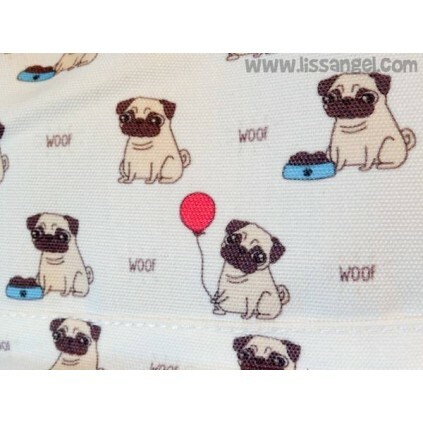 Everyone is seated, with their food plate or with a balloon, they are very funny. 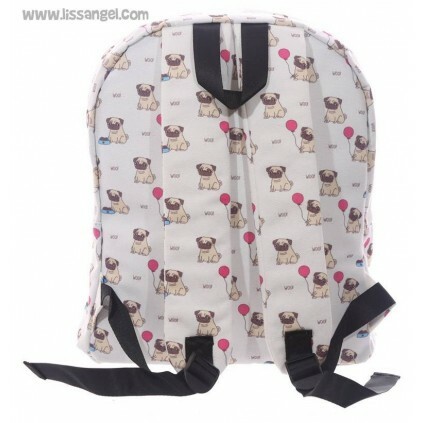 The backpack includes double top zipper, and a bottom pocket also with zipper. 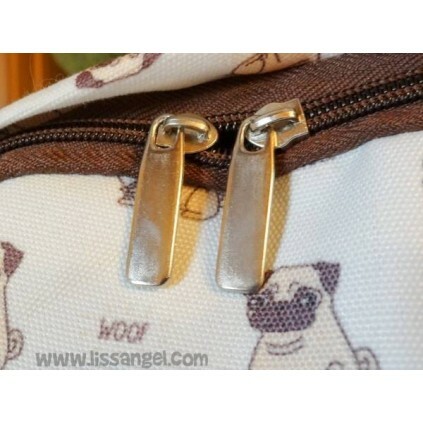 The handles are adjustable to be able to fit perfectly according to the size of the person who has to carry it. 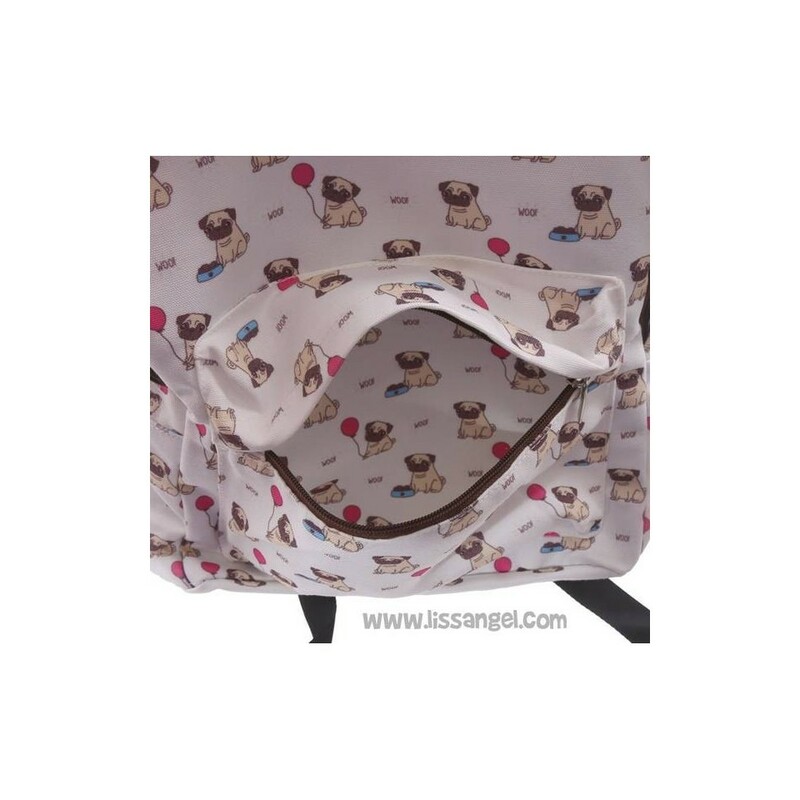 This reusable shopping bag is so lovely that you will use it for everything. 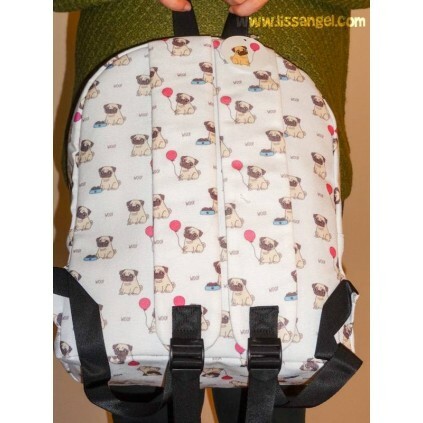 A funny pug dog puts on a face of circumstance when having an open jar full of cookies... Woof!